It’s a simple but powerful idea, and it’s at the heart of the (Re)Generation, the recent collaboration between the American Jewish Joint Distribution Committee (JDC) and the Jewish Community Federation of San Francisco, the Peninsula, Marin and Sonoma Counties (the Federation). 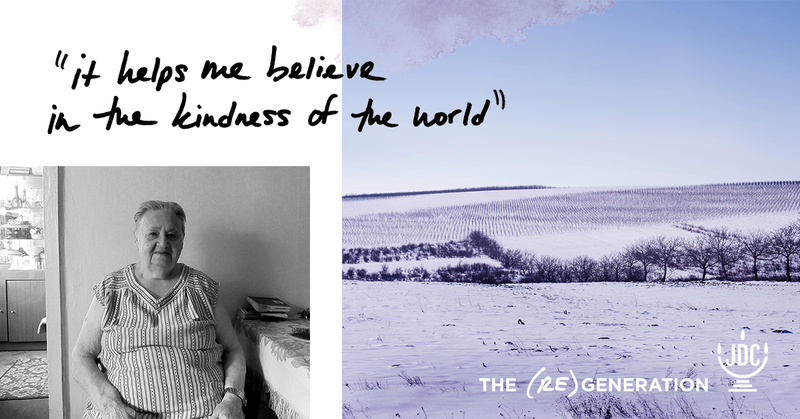 For decades, JDC has cared for tens of thousands of elderly Jews in countries like Ukraine, Belarus, and Moldova. Once successful professionals — doctors, educators, scientists, and artists — the fall of the Soviet Union left them with little to show for decades of hard work, and years of religious persecution dismantled the community and family structures that might have supported them in their old age. They are the world’s poorest Jews, living on as little as $2 a day, many of them bedridden and all alone. Today, JDC provides nearly 100,000 of these elderly Jews with life-saving essentials like food, medicine, winter relief, and homecare, as well as those things that you can’t put a price on: dignity, community, and hope. It’s some of the most important work that JDC does, but most American Jews don’t even know that there are still Jews in the former Soviet Union, let alone how tragic their situation is. 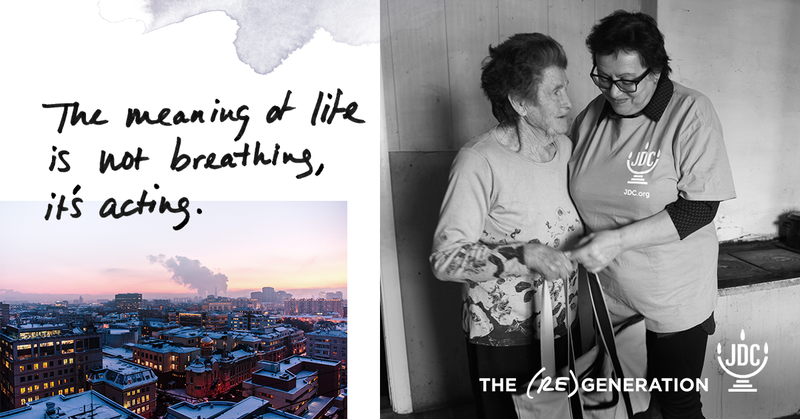 The (Re)Generation campaign was our way to bring this quiet crisis to light for American Jews, sharing our clients’ fierce wisdom and admirable resilience along with their struggle to survive. Our call to give the old country new hope was a reminder that these stories are intertwined with our own; many of us can trace our own lineage back to “the old country” of Central and Eastern Europe, and the people who live there could easily be our parents or grandparents. But the (Re)Generation was missing one key thing that all campaigns need: urgency. While the work that JDC does in the former Soviet Union literally saves lives, it is also a long-term, ongoing effort—one that isn’t new and isn’t flashy. That’s where you came in. By offering a one-to-one matching grant that would only be available during our campaign, the Federation gave potential donors two powerful reasons to donate now: a time limit and the opportunity to see their donations go even farther, providing double the support to those who need it most. For decades, JDC and the Federation have been partners, working together to save Jewish lives, build Jewish life, and live Jewish values. Over the years, you’ve provided funding for many of our most valuable programs: Together, we’ve empowered underserved Israeli communities, provided vital relief in South America, and giving the next generation of European Jewish leaders the tools to transform their communities. With this campaign, we explored a new way of collaborating, leveraging your generous gift to bring in new donors and multiply its impact. The match caught potential donors’ eyes; then, once they read and were moved by the stories of our elderly clients, it gave them the push they needed to donate and make a difference. In the end, we increased our number of donors by 50% compared to our 2017 end-of-year drive, and 35% of those donors were donating for the first time or had been long-dormant. With your help, we were able to bring more people than ever into the movement to give the old country new hope. Thank you for your continued partnership. The (Re)Generation campaign is proof positive that, as the world changes, our organizations will continue to work hand-in-hand, our relationship evolving to best meet whatever challenges the global Jewish community faces. We’re excited for all of the good we will do together in the years to come. 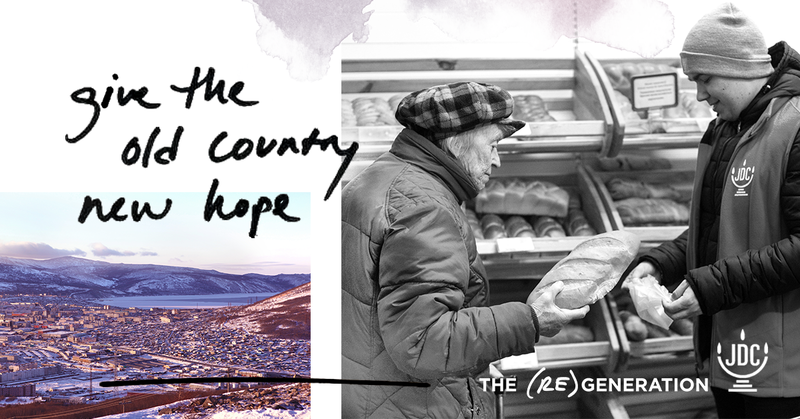 If you want to learn more about the (Re)Generation or join the movement to give the old country new hope, visit regeneration.JDC.org.